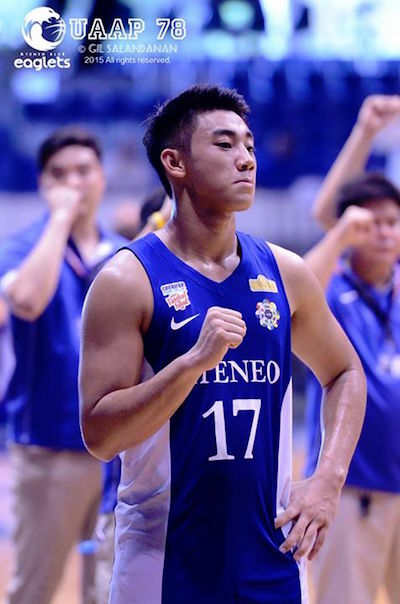 Big man Justine Baltazar continued to power NU in UAAP Season 78, leading the Bullpups to win #4, while contenders Ateneo, DLS-Zobel, and FEU also gained some ground with separate victories. 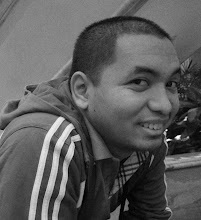 NU's tower of power: Justine Baltazar. The following game reports are adapted from Ma’am Tessa Jazmines. National University coasted to a 77-65 win over UP Integrated School and strecthed its perfect run to four games yesterday in the UAAP Season 78 Juniors’ basketball tournament at The Arena in San Juan. John Lloyd Clemente had a superb all-around performance of 18 points, 9 rebounds, and 6 assists, while Justine Baltazar tallied another double-double effort with 16 points and 17 rebounds. Joint second placers De La Salle-Zobel, Ateneo, and Far Eastern University-Diliman, meanwhile, all posted their third victories to keep within distance of NU. 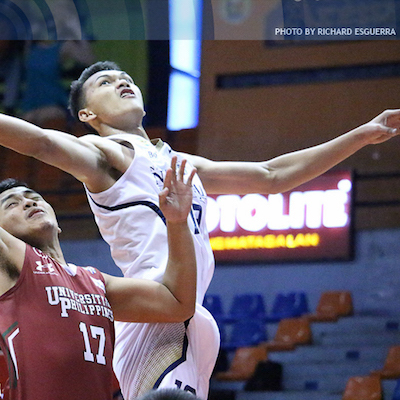 Aljun Melecio dropped 18 points as the Junior Archers blasted University of the East, 107-79. Jolo Mendoza came through with 20 points in the Blue Eaglets' 79-56 thumping of University of Santo Tomas, while the Baby Tamaraws, behind LJ Gonzales' 14 points, nipped Adamson University, 51-49. 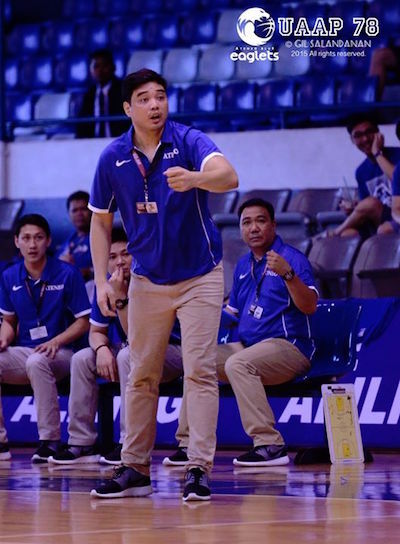 It was the third straight victory for defending champion Ateneo after a season-opening loss to La Salle-Zobel. The Tiger Cubs dropped to fifth spot at 2-2, while the Baby Falcons stumbled to their third defeat in four outings. The Junior Maroons and the Junior Warriors remained winless in four contests. Coach Joe Silva is tasked to steer the Eaglets to a championship repeat. Graduating senior Jossier Hassan will play a vital role as the Eaglets' man in the middle. 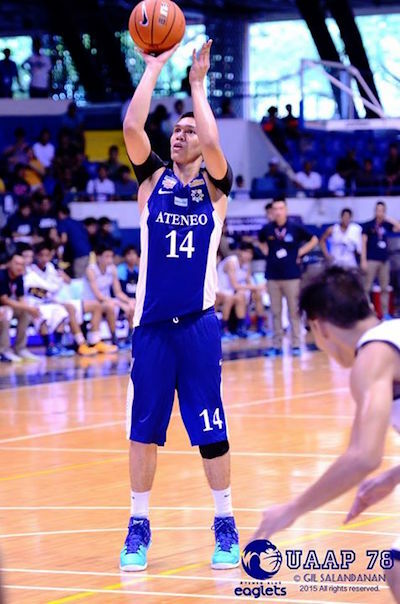 Second generation player Shaun Ildefonso is looking to have a breakout season for Ateneo.